Aging is inevitable, but how you look on the outside should be within your control! As years go by, your skin tissue loses elasticity, and all of your expressions leave permanent lines and wrinkles on your face. Though we can’t prevent this from happening entirely, we can make it look like we did. Xeomin is specially designed to erase those lines left by aging to make you look and feel years younger. Xeomin is a new product from Merz Pharmaceuticals that is used to help minimize the appearance of fine lines around the eyebrows, mouth, and forehead. It is one of our most requested services at our three New York and New Jersey locations. 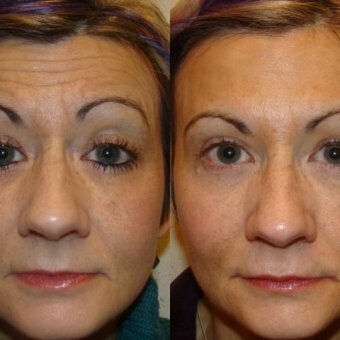 Quick, safe and effective, Xeomin reduces or eliminates facial lines and wrinkles for up to three to six months with no downtime and little to no discomfort. 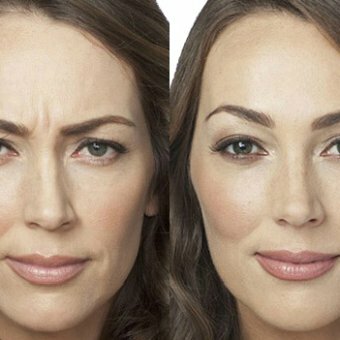 Through a series of tiny injections, Xeomin gives you a rejuvenated look by smoothing frown lines between the eyebrows, crow’s feet beneath the eyes, lines across the forehead, and worry lines around the mouth. In addition to smoothing out fine lines and wrinkles, Xeomin is FDA approved for treating cervical dystonia or blepharospasm. Xeomin has no additives, unlike other similar products such as Botox. This means there may be a lower risks of developing antibodies against Xeomin than other neurotoxins. You should continue to see results from future Xeomin injections rather than your body potentially becoming immune to the product . Because Xeomin does not contain any additional proteins, the risk of allergic reactions is lowered, too. A good candidate for Xeomin is anyone looking to enhance their appearance by getting rid of unwanted lines or wrinkles. It is also important that patients seeking treatment with Xeomin are in good physical health, are not pregnant or nursing, and do not have a neuromuscular disorder. NYC men and women considering Xeomin treatment should have realistic expectations of what the procedure can do. You should discuss the desired results with your doctor to ensure that your goals can be achieved. Using a very fine needle, a Dr. Fiorillo will inject Xeomin into designated muscles in your face that are causing lines and wrinkles. You may experience brief, mild discomfort during the injection, but you can be assured that the treatment is very safe and effective. Taking only a few minutes, the treatment requires no anesthetic and recovery is immediate, allowing you to return to work and resume your normal daily activities that same day. What is the recovery from Xeomin like? Immediately following the Xeomin treatment, some patients may experience mild bruising, which will go away shortly. You will see your wrinkles begin to fade within 24 hours, with continued improvement over the next few days. 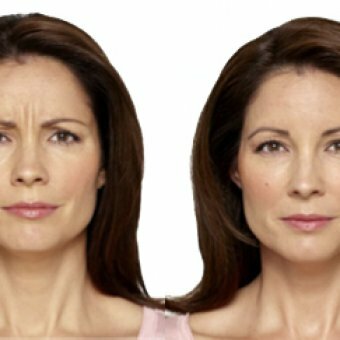 The effects of Xeomin typically last up to six months, although many have reported seeing results that last even longer. After several Xeomin treatments, the results may be prolonged. Side effects of Xeomin are rare and are usually mild and temporary. The most common side effects caused by Xeomin are headaches and temporary redness or bruising of the skin at the site of injection. When used for cervical dystonia, side effects may include neck pain, muscle weakness, or injection site soreness. You can schedule a consultation at Dr. Fiorillo’s office to discuss any potential risks to make sure you understand all possible outcomes.